When a customer chooses any kind of service provider, the price plays a big role in the final decision. The situation is the same with Denver auto shipping. When you are looking for a car transport company, you have a lot of options. There are many auto transport companies in the industry. For the most part, they offer similar vehicle transport services and their rates are not that different. It’s natural to be looking for a better quote in a situation like that. But be careful: the prices that are much lower than most rates are a bad sign. Denver Car Shipping would like to help you in your search for the best price. We want the process of Denver Auto Transport to be easy for the client from the very start. That is why it is very simple to get a quote from our company. Filling out a short form is all it takes. We will need some info about your vehicle and the zip codes of pick-up and delivery locations. You will also need to let us know how you want your vehicle to be shipped: using Open Car Transport or Enclosed Auto Shipping. As soon as we get information from you, we will contact you back and let you know the price. You can also call our office to get a quote. Our agents will estimate the price in a matter of minutes. You can also count on one of our special discounts. Also don’t forget that at Denver Car Shipping we can often beat other carriers’ prices. 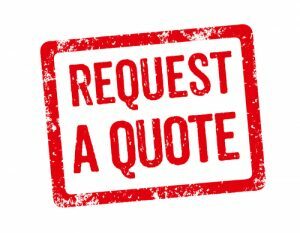 So if you have a quote from a different company, let us know! Denver Car Shipping is proud to provide high quality Denver Auto Transport for affordable prices. We will be happy to ship for you!